This post is sponsored by DecoArt. All opinions are mine. 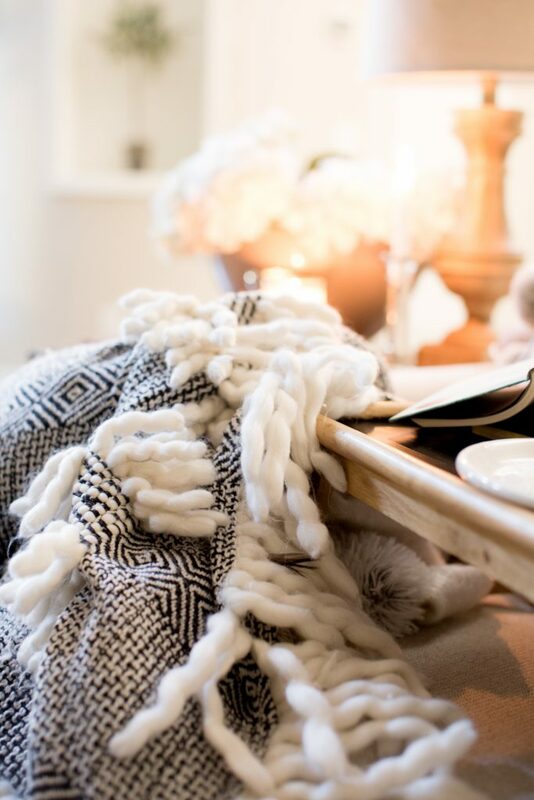 Sometimes you just need a few simple items to create a moment. I can’t tell you how happy this little cozy moment made me the other day. I had a couple of free hours a few weeks ago and I hit up my local Goodwill for some thrifting items. I’ve been looking for some recycled glass to add to my growing collection. But as I was looking around I found a few more goodies and decided to bring them home with me. Before I knew it I had created a cozy place to enjoy! 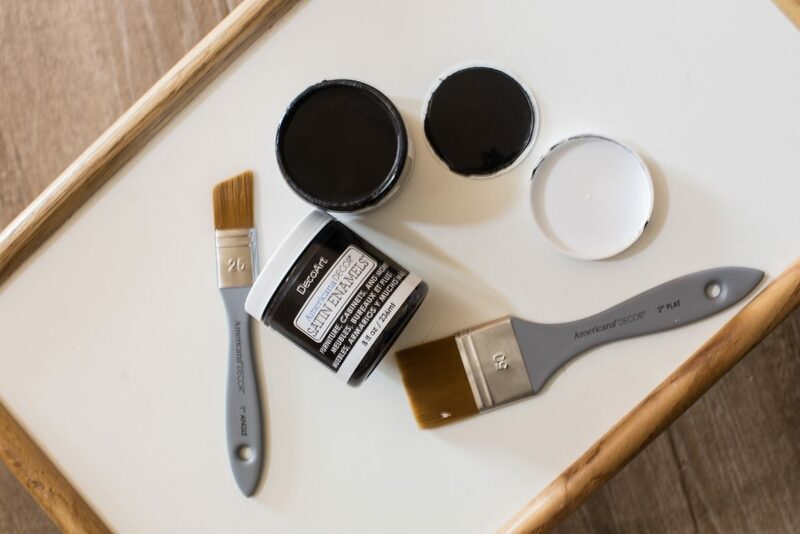 The first thing I did was take my bed tray table find and gave it a little boost with a little DecoArt Satin Enamel in black. You guys must know by now that this is my favorite paint at the moment. I used it on my stairs and in my pantry. I even used it on my moms bed! It covers so well and drys to an amazing hard coated finish with the perfect amount of sheen. 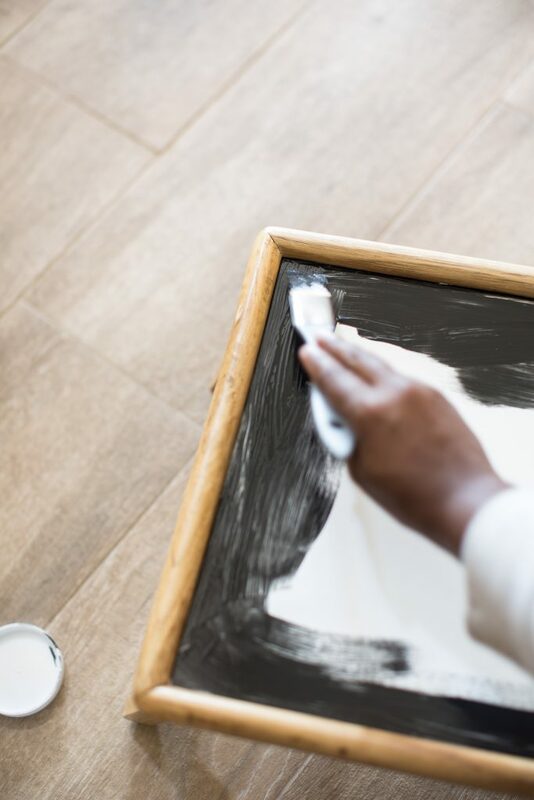 Just apply the paint to the top of the tray. Give it two coats for great coverage. Allow to dry and you’re done! Not every project needs to be complex! 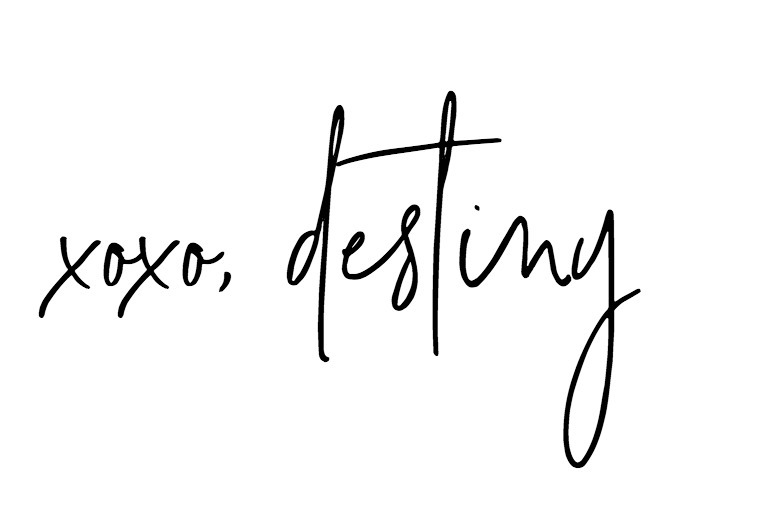 This one can be done in just a few minutes! 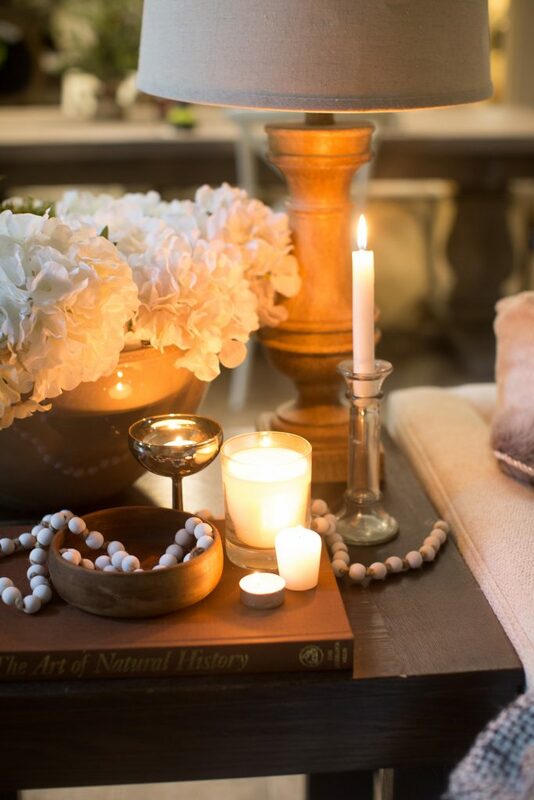 Along with the bed try I also picked up a side table, a wooden bowl, a candle stick and a few silver cups! 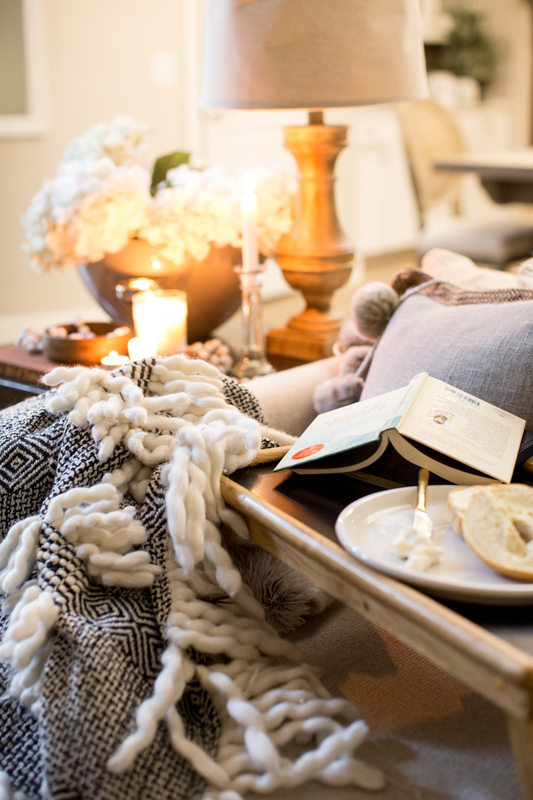 This hygge moment is perfect for those cold, rainy days when it seem like staying indoors might be the only option. 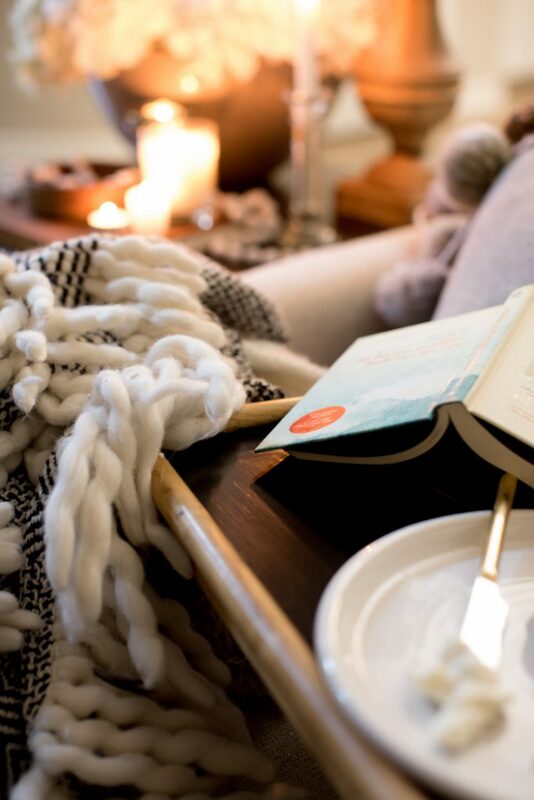 You can create your own moment by lighting candles, grabbing a blanket, some coffee and a good book and just relax. It really is a mood booster! 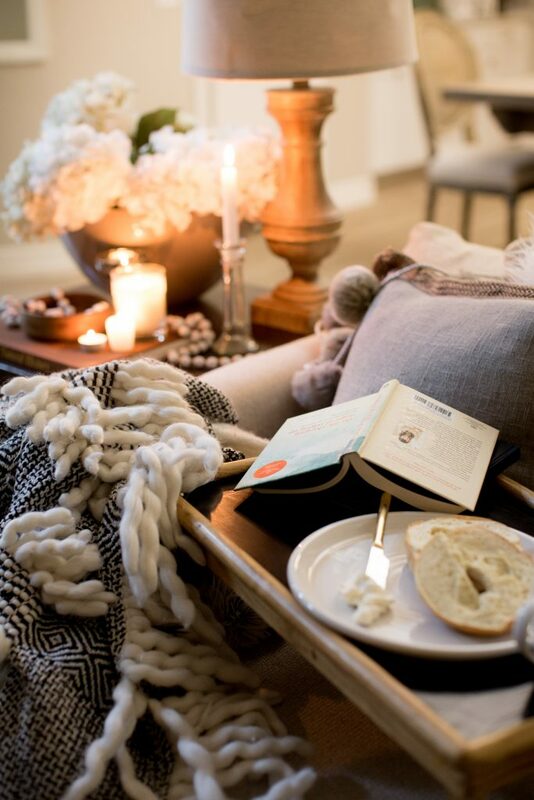 Are you inspired to create your own cozy moment?